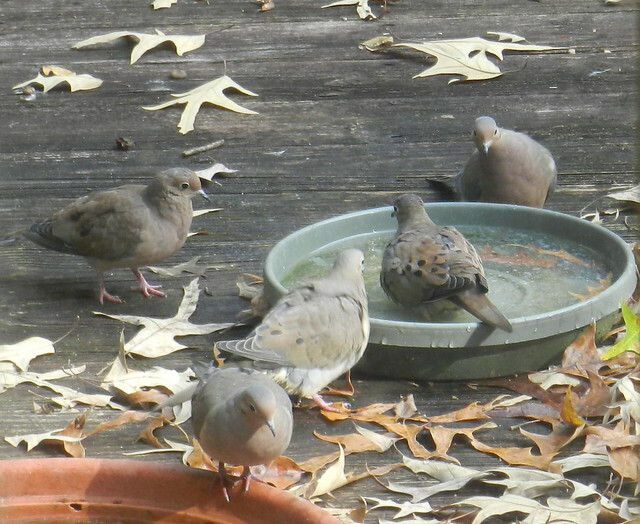 I had 13 mourning doves on my deck one afternoon but I didn't get them all into one shot. A mockingbird joined them for a sip of water. 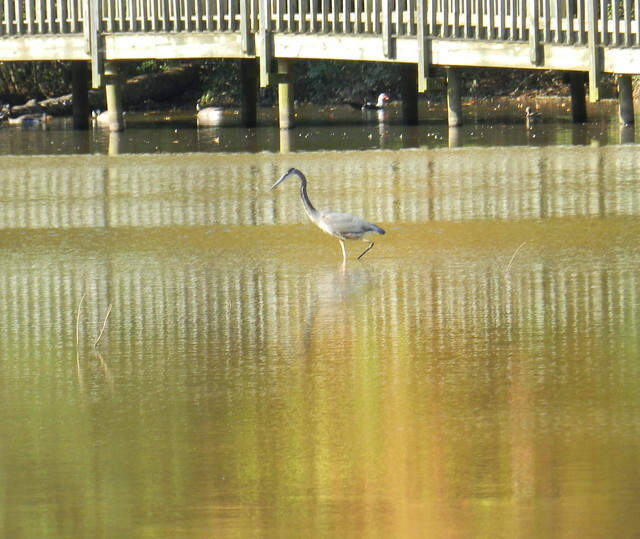 I spotted the Great Blue Heron at Lake Lynn which is a few miles from my house. 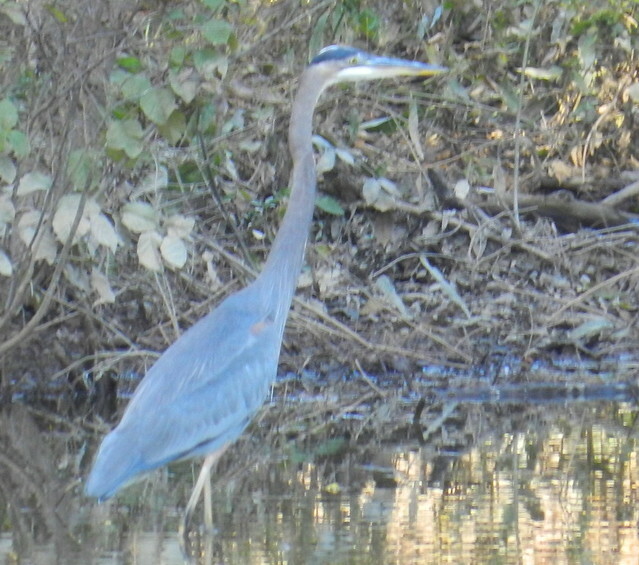 The next Great Blue Heron was also at Lake Lynn. My bittersweet berries are bursting out. 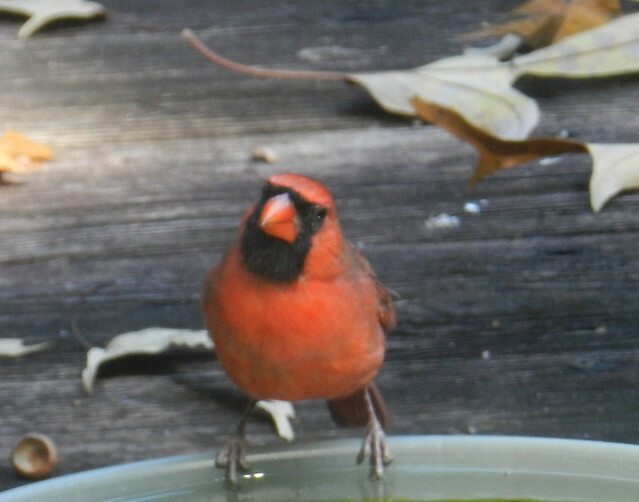 Next, a male cardinal on my deck. 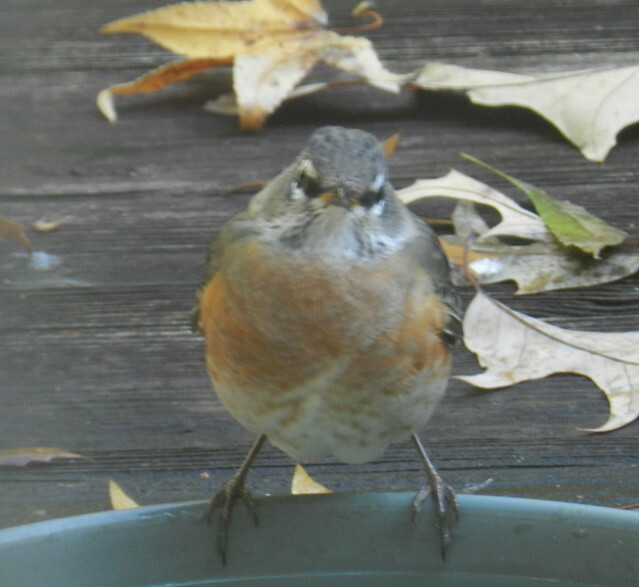 Below is an American Robin looking soft and beautiful. 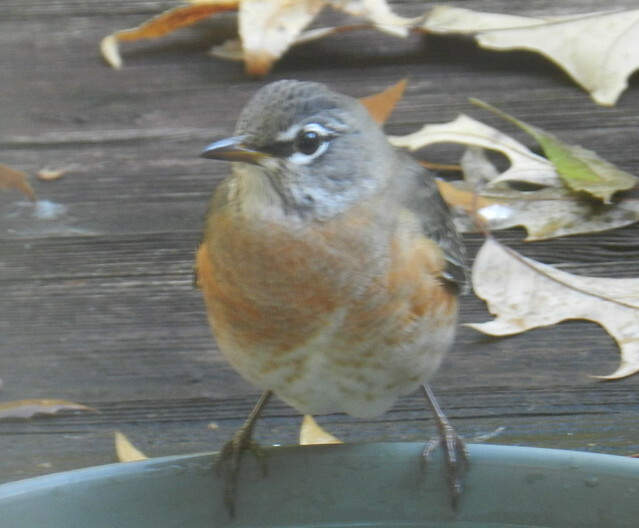 I think robins look totally different when they face the camera like the one below with their beaks foreshortened. 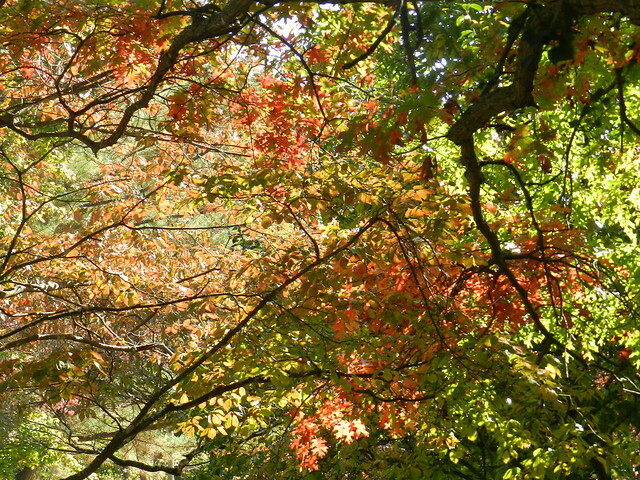 More and more of the leaves in my neck of the woods (central NC) are changing colors. 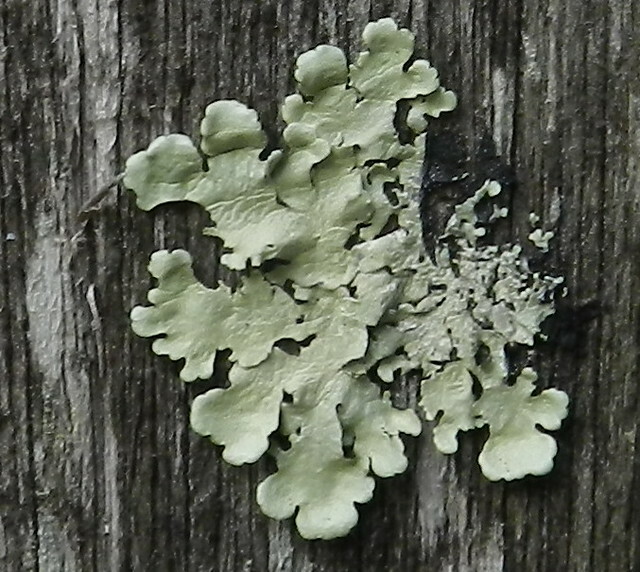 My wooden deck furniture is playing host to lichen. 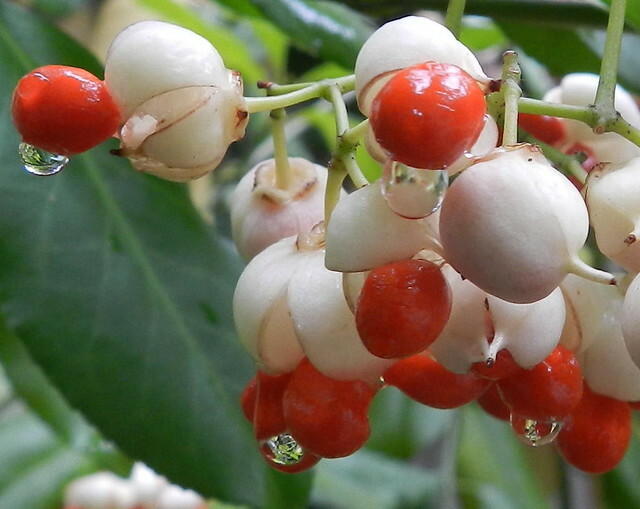 The next shot of bittersweet berries shows it holding onto the rain. The last two shots were taken at Shelley Lake. Shelley Lake is in my neighborhood and is the lake I walk at the most. 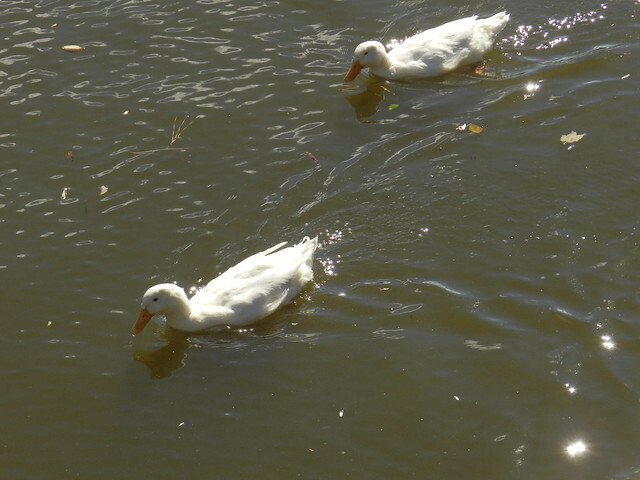 Click for Nature Notes and here for Our World Tuesday. You really do live in an amazing place! Of course you have made your yard a bird haven, it wasn't just luck! And the birds are wonderful. I've noticed that about robins before, they look so different from the front. You captured so many lovely birds! The lichen looks like an artsy wall plaque and the red/white berries with the water droplets seem almost touchable and oh so Christmassy! 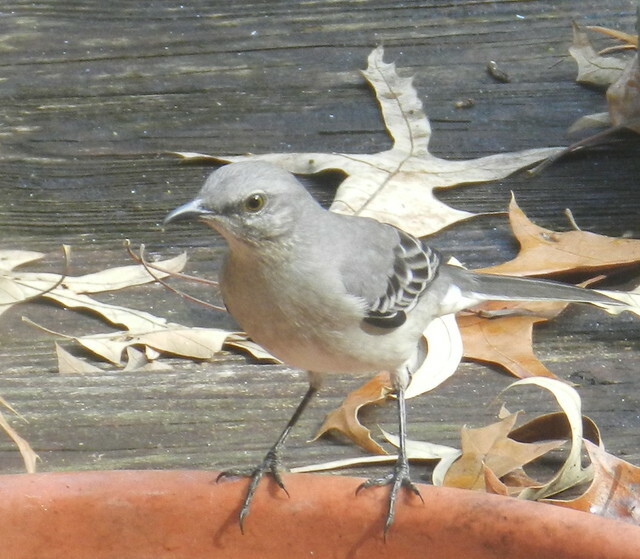 I love the Mockingbird and actually all of your pictures. Love the blue heron. Such a variety of birds on your doorstep. How wonderful! ~ Lovely series of nature shots ~ love them all ~cute little birdie faces too! Wonderful nature and bird shots as always, Carver!! I do love the heron! So much beauty! Thanks for sharing! Hope you have a great new week!! Hello Carver, lovely shots of your birds. 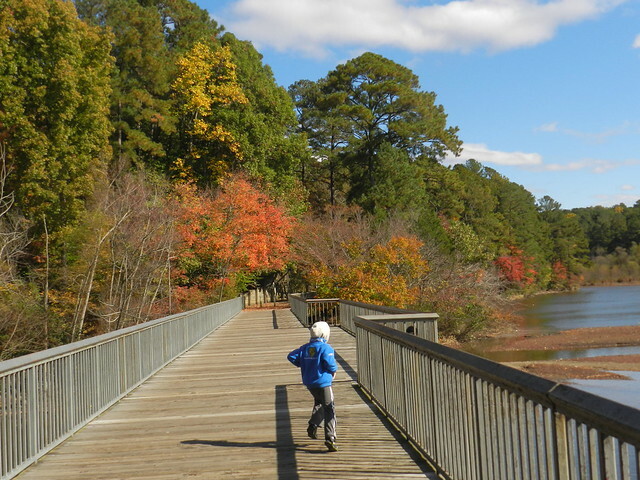 I love the pretty colored trees around the lake.. The robin do look different looking directly at their faces.. Cute! Have a happy week! So beautiful and refreshing, Carver! Wonderful series of shots from nature. So much to see here! Your shot of the heron with the yellow background is stunning! Boa tarde, Perfeita reportagem fotográfica sobre a natureza que encanta, assim como as suas fotos que são muito belas. Great photos Carver, especially the Bittersweet berries. 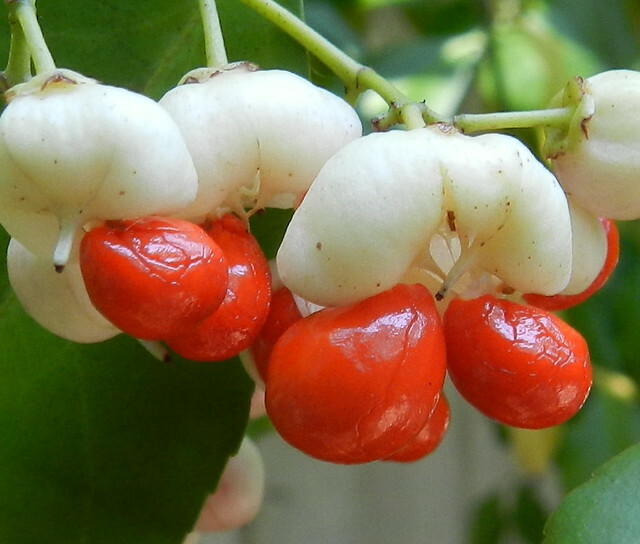 I am delighted with photographs of birds and dark berries. I have to look on the internet what the plant.